The ‘March for Peace’ in Kharkov finished with what is now the usual barbarism – the destruction of the monument to Lenin. Such actions have nothing in common with social reconciliation. There can be no doubt that such provocations suit the Russian aggressor, which insolently preys off the Soviet past with which it has nothing on common. With patriots like these, it cannot be excluded that Russian tanks will advance as far as Kharkov. And on the vacant plinth there will then be erected a monument to Putin. In and of itself, the destruction of monuments is not a tragedy. But in the current circumstances it will not result in anything other than further divisions in the country. 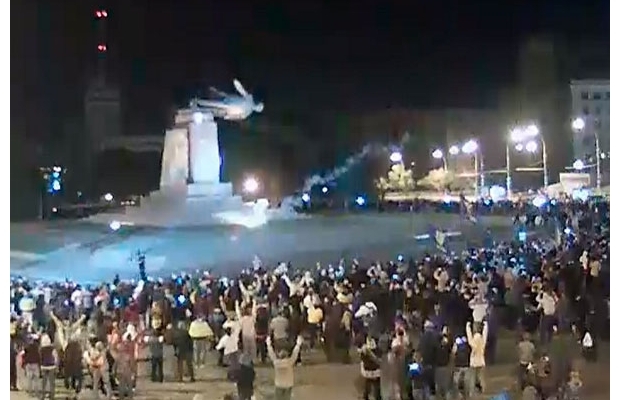 The monument to Lenin in Kiev was brought down when today’s nationalists were still in opposition. Today they are in power and engage in the same activities. It is unfortunate that the masses allow themselves to be deceived in this manner and that they make do with cheap shows in the absence of any real achievements by the authorities. The out-and-out Russian imperialists of the Donetsk People’s Republic hate Lenin, who was a consistent fighter against national oppression. For these people, he was a raging Russophobe. 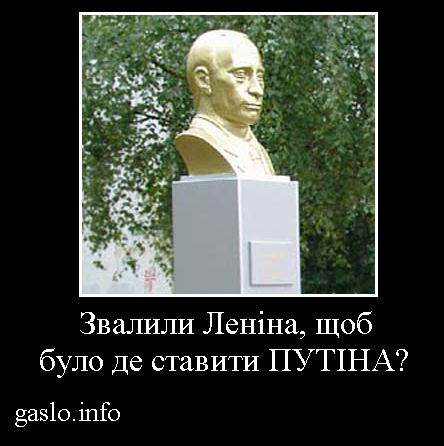 The oligarchic Ukrainian authorities also hate Lenin, accusing him of “Ukrainophobia”. The reactionaries of different nations explain everything in a language which their supporters can understand. Isn’t this perhaps the best way to arouse thinking people to take an interest in the legacy of this outstanding revolutionary?